Note: Some institutions do not make scores visible to students in PlayPosit. When a learner completes a bulb, they are presented with their score on the assignment. However, not all question types can be automatically graded by PlayPosit. The Current Score is calculated by assigning 0 points to any questions that can not be automatically graded. Once the course instructor grades those questions, scores will be updated. 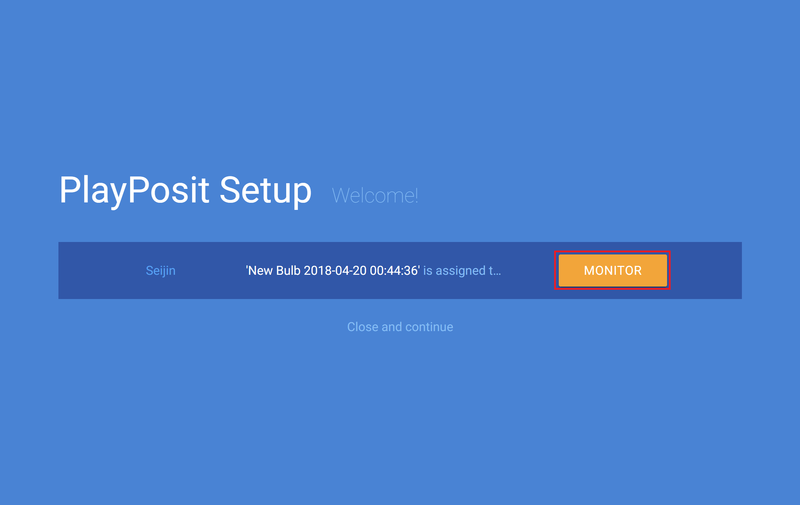 To adjust the default weights for bulbs, instructors can go to their User Profile page. More information on the User Profile is available in this help article. Multiple choice, check-all-that-apply, and fill-in-the-blank are all auto-graded questions. All other question types are ungraded. 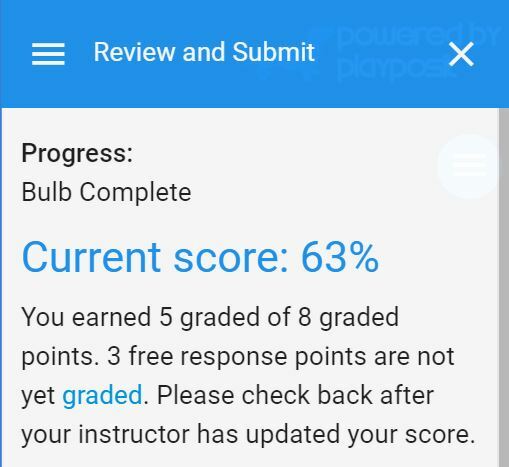 As an instructor, you will need to manually export grades if your bulb included free response questions or if you adjusted students' scores by hand. Log in to your LMS and open the relevant bulb. At the top of the Monitor page, click Sync. Click Report to check the status of the student grade export. It may take a few minutes to push all updated scores into the gradebook. For more help navigating the Monitor page and adjusting student scores, see this video.